Specifically designed for storing cigars, this fully electronic humidor cabinet from Liebherr is made from stainless steel with glass door. The Liebherr ZKes453 controls the humidity supply (68% > 75%) and you can keep the internal temperature between 16°C+ and 20°C+. The cigars can be stored in either of the 2 x Spanish cedar wood shelves or 2 x presentation boxes. You can control the cabinet via the functional buttons on the front of the panel, this includes the light, alarm and temperature, which is clearly displayed by an LCD screen. 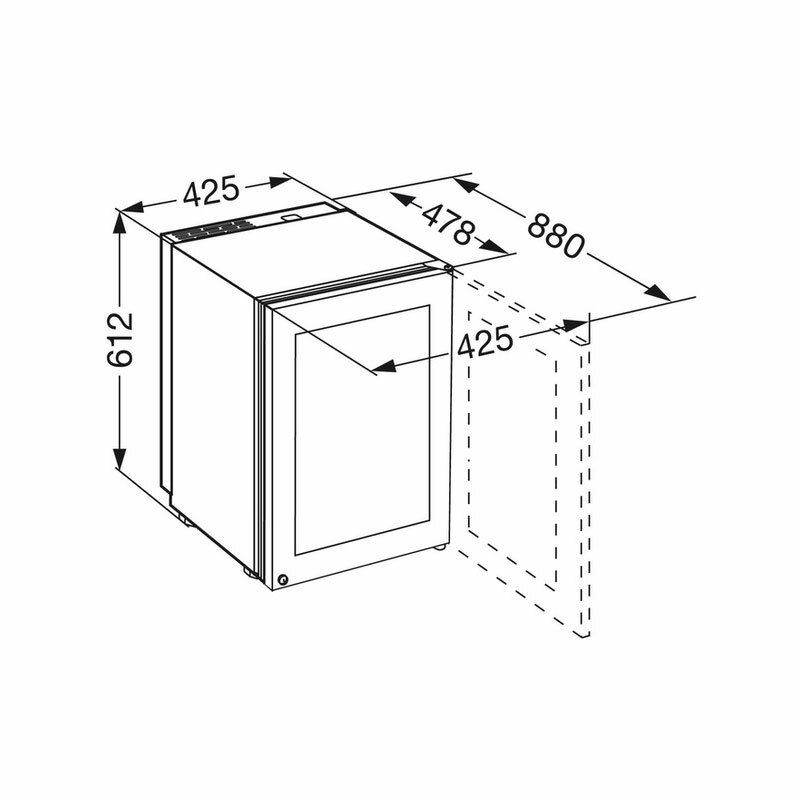 We recommend storing ALL Cabinets / Fridges shown on our site to be stored within your home. Do not place it in an outhouse. Please inform us if you require your cabinet to be delivered up or down stairs, otherwise the courier may only be able to deliver to the ground floor.